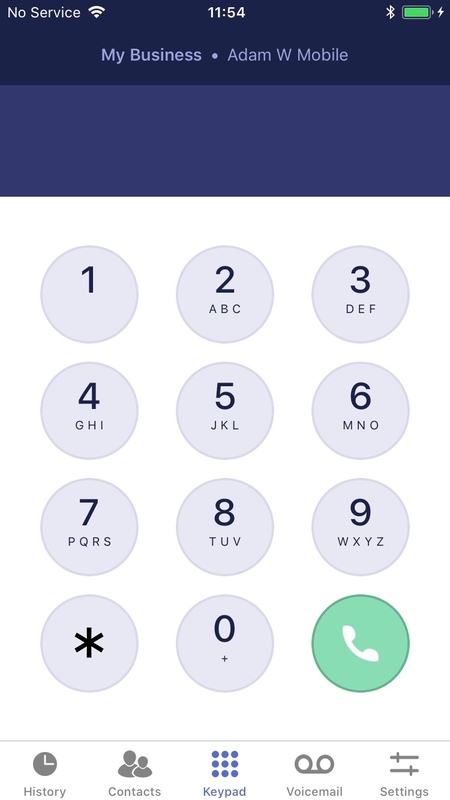 With Dial 9 Anywhere, you can connect to an extension in your Dial 9 from your Android or iOS device to make and receive calls, taking advantage of the same level of functionality that you'd gain from using a desk phone connected to the service. To start using the app, just head to the Play Store or Apple app store to download it. Once you've downloaded and installed the app, you can login with your Extension username and password. When you login, you'll be presented 4 with tabs, from left to right, each either own set of functionality. 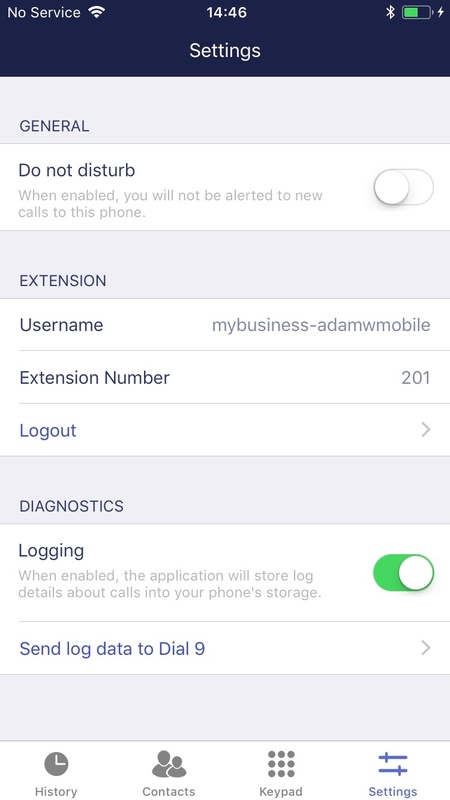 Under General you can toggle Do Not Disturb to prevent the device from receiving incoming calls, and Display Extension Details to show your extension name and number at the top of the screen when in the main app. If at any time, we have requested that you provide some diagnostic data from the app, you can enable Logging and tap Send Data which will load a new email with some logs than can be emailed directly to our support team.